Miloco Gear announces new Pro Audio Showcase Day with incredible gear shoot outs and more exhibitors than ever! 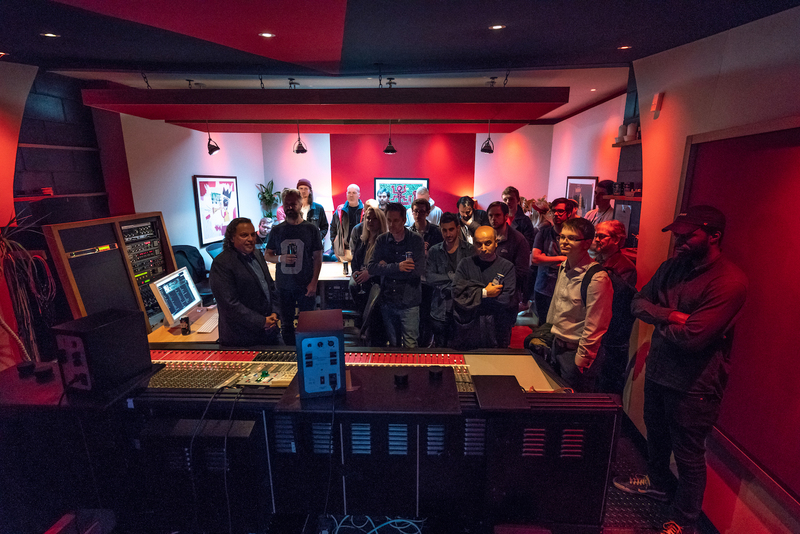 There’s a great chance to see the inside of a top flight suite of recording studios this November, when Miloco Studios once again opens up the incredible Pool, Red Room and Bridge studios for another Pro Audio Showcase Day. These popular events have become a big draw in the music production community and are a great chance to network, try out the latest studio gear and learn from expert producers and engineers. This November’s event promises a top line up of gear launches, product shootouts and the chance to win big with prizes from some of the companies attending. And it has just been announced that producer and engineer Dave Eringa has been announced to present the day’s masterclass – one you will definitely not want to miss. The Pro Audio Showcase is an intimate music production event in the relaxed and incredibly-well equipped surroundings of the Miloco Studio complex. The Pool, Bridge and Red Room studios are regarded as being among the best recording studios in the world so the ideal environment for new product launches and gear shoots outs. These head to heads will include Universal Audio plug-ins taking on the real gear they are emulating (including Neve, SSL, API, Roland, Shadow Hills, Vertigo Sound, Manley, Urei, Tubetech, Lexicon, Empirical Labs and Thermionic Culture); a studio monitor shoot out (between models from Augspurger, PMC, Quested, Adam, Genelec and Unity Audio) plus some modular synth head-to-head action where new modules take on classic models from Moog, Buchla, Oberheim, Roland and Korg. There will be World and European product announcements (TBA) plus special Mixing Masterclasses. A record number of leading manufacturers and distributors will be exhibiting on the day including Adam Audio, Amphion, API Audio, Audient, Augspurger, Barefoot Sound, Black Box Analog Design, Trinnov, Buchla, Chandler Limited, Dramastic Audio, Empirical Labs, Eventide Audio, Focusrite, Genelec, Manley Labs, Moog, Neve, PMC, Quested, Shadow Hills, Sony, SSL, Unity Audio, Vertigo Sound, Warm Audio and more. There will also be prize draws on the night to win goodies from some of the attending exhibitors (TBA). The entrance ticket price is £20 – early bird price of £10 if you book before the end of September. This includes a ‘Digital Goodie Bag’ of pro audio plug-ins and software plus all food and drink!